18+. New customers only. Bonus and deposit must be rolled over 8x with minimum odds of 1.60. Minimum deposit amount is €10. Wagering requirement must be fulfilled in 60 days. T&Cs apply. 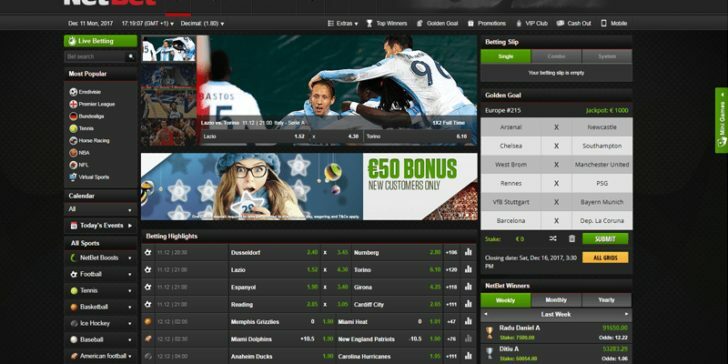 SBTech and iSoftBet provides the software for NetBet Sportsbook’s fantastic online sports betting system. The internet bookmaker is licensed by the Malta Gaming Authority. The sportsbook was established in 2001 and has been on the market ever since. Players can wager on almost every sports from Aussie rules to winter sports, from boxing to snooker. In addition, it is also possible to place bets on virtual sports. There is also a superb in-play option on major events. Punters can also find great odds at the popular online bookmaker. 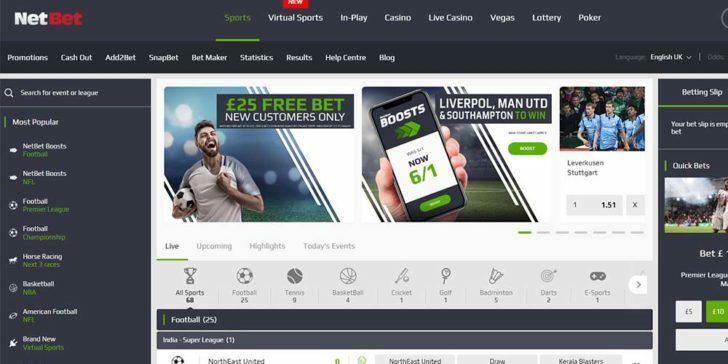 Furthermore, E-sports gambling is also available at NetBet Sportsbook, however they offer a low variety of betting options. In addition, great promotions are also available at the famous website. New players receive a fantastic 50% welcome bonus up to EUR 50** which they will get upon their first deposit. There is also a cashback bonus on combined bets – place any five-fold bet and if one of them loses, the original stake will be refunded. And these are just a few or all the great promotional deals at NetBet Sportsbook! If a player encounters any problem during his or her gaming time, contacting the customer agents via email or at the live chat function which is available every day from 8 am till midnight (GMT+1). They can also call the customer service at 0044 203 608 6024. There is an available agent 24/7. Contact [email protected] if you think you deserve to be a part of the club and a VIP manager will come back to you as soon as possible. Football Betting Jackpots at NetBet Sportsbook Offer Weekly €30,000! Earn a Free Sports Bet On Your Phone With NetBet Sportsbook! Here is How You Can Win a Ferrari! Protect Your First GoalScorer Bet With NetBet! NetBet’s $20,000 Is Probably One of the Biggest Sportsbook Payouts Ever! NetBet Sportsbook is Offering One of their Best NBA Bonuses to Date! Use Your Online Betting Bonus Code to Grab Some Extra Cash up to €50 at NetBet Sportsbook! How do I make a deposit at NetBet Sportsbook? To make a deposit, please log in to your account and click on the Cashier button, in the top right corner of the homepage. You will then see all the payment methods available to you. Fill in your details, decide on the amount you'd like to deposit and click on 'Add to my account'. It's that simple! Click on your username in the upper right corner of the homepage and then choose the section "Betting History". 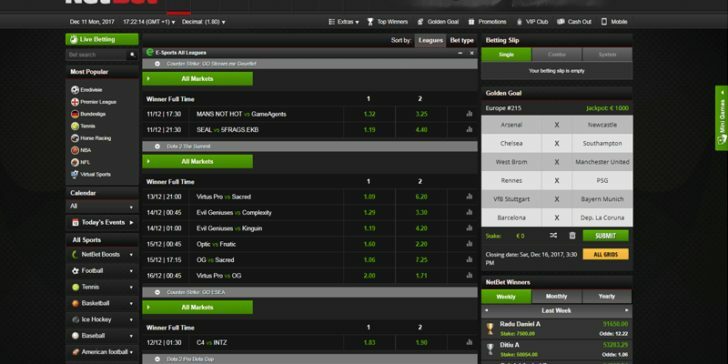 You will then be able to see a list of all your bets, stakes and status of each bet. If you think this problem is not related to your internet connection or your computer, please specify the date, time, type of game played and the amount involved. For any technical difficulties that you encounter while playing our games, we recommend that you take a screenshot of the problem and send it to: [email protected] for the necessary investigations to be made.